If any slots studio knows how to develop a feature-rich adaptation of a film classic, it’s Microgaming. 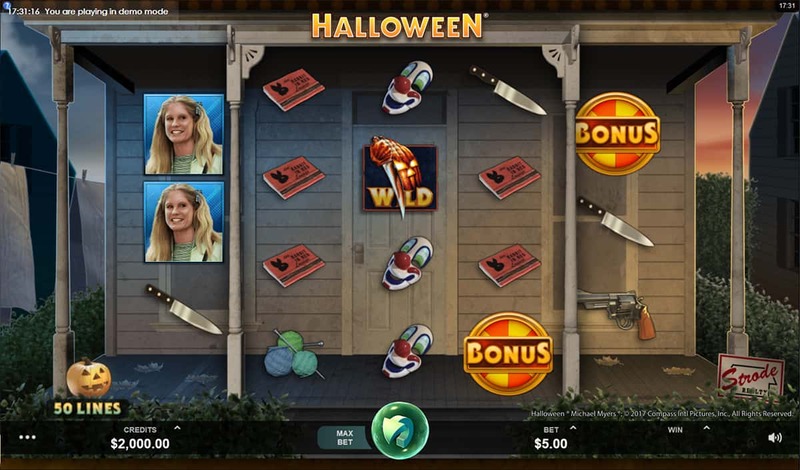 The studio has real form for these kinds of slots, and it has brought to bear all its experience and talent to shape John Carpenter’s 1978 horror classic to the Halloween Slot. It’s chilling, it’s gripping, it’s eerie. Just like the film it will make us jump. But unlike the film, it can also leave us with wads of deposits in our gaming wallets, rather than just deposits in our trousers. The Michael Myers residence is the setting for this chilling tale. Autumn leaves drift through the sky. Washing flaps in the breeze. The stars of the film - Loomis, Laurie, Annie and Lynda - make up our high-paying symbols, appearing as regular symbols but also as Jumbo Blocks - four by four symbols that will boost wins on multiple paylines. The 4x4 mechanic works thanks to Halloween’s Wandering Reels feature, in which the front porch of the Myers house moves left and right to add extra rows to three reels at a time. The off-key piano soundtrack chills the atmosphere right down to below zero, bursting into the spectral life of Halloween’s classic theme tune during the bonus features. And Halloween wouldn’t be complete without Michael Myers. Watch out for him hiding during the base game, ramping the sinister level up to max. But it is during the bonus features that he really plays his hand. Halloween’s game symbols are as sinister as the theme - Knives, Knitting Needles, Loomis’s Gun, Telephone, Clown Mask. The constantly shifting Wandering Reels are creepy if potentially lucrative. Michael Myers peers his murderous visage around corners, looking like he’s coming for us. And come for us he does. 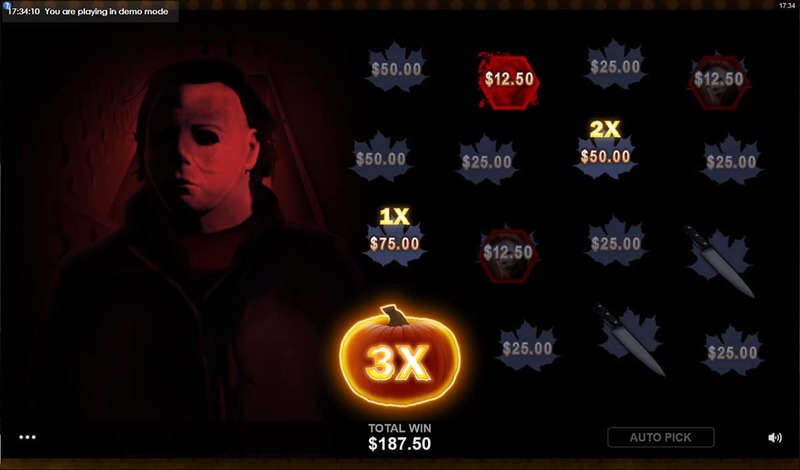 We trigger the Boogeyman Bonus via the Trick or Treat Wheel, itself launched by landing three Bonus Scatters. Michael Myers is, of course, the Boogeyman. And we must choose between the autumn leaves to find prizes, knives to defend ourselves or Michael himself, poised to attack. 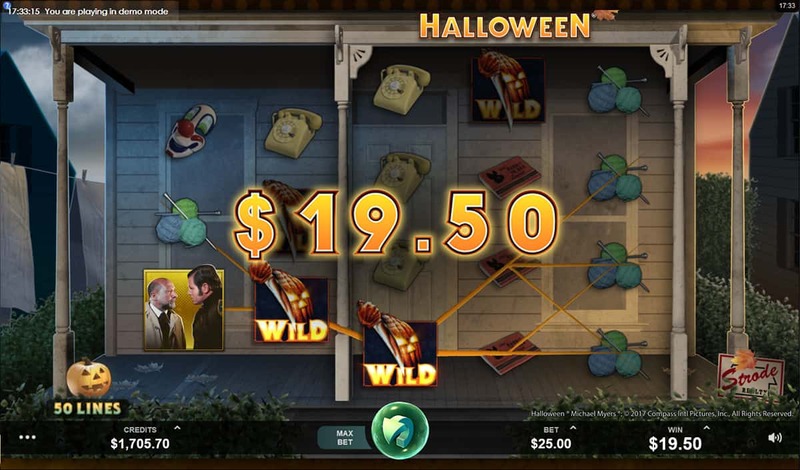 Landing one of the Halloween’s main characters launches the Free Spins feature. 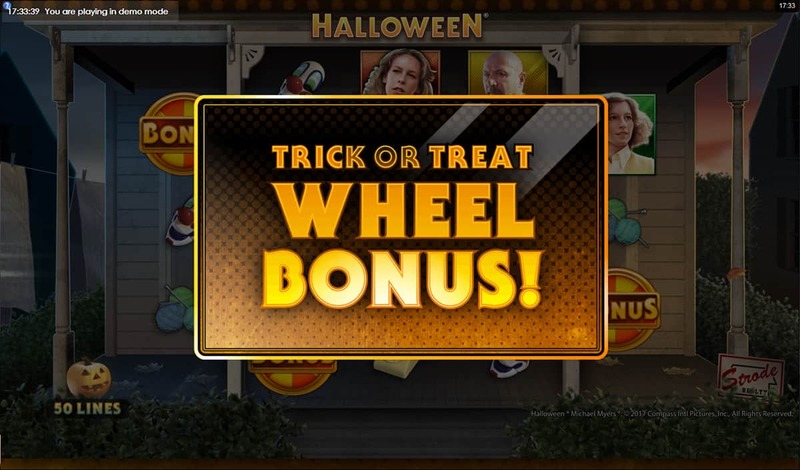 Here we are treated (but not tricked) to 9 free spins with all high symbols replaced by the triggering character. Now the Jumbo Blocks come into play, having the potential to deliver mega wins should we land a high-paying symbol as five-of-a-kind multiple Jumbo Blocks. 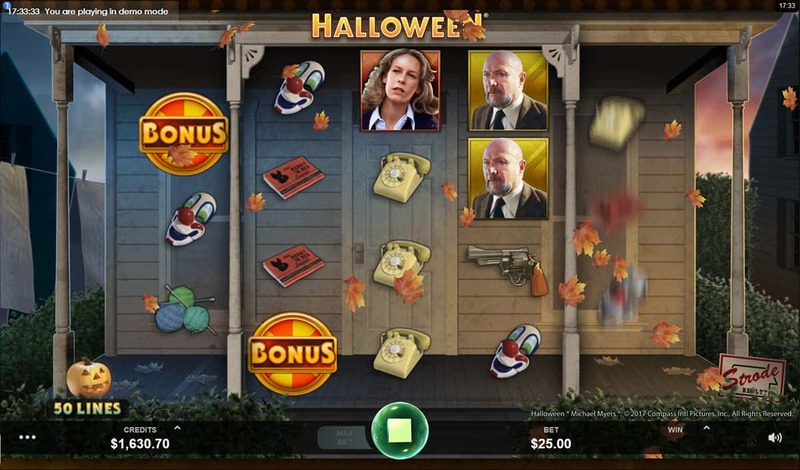 Microgaming’s Halloween slot hits all the right notes when it comes to the sinister feel of John Carpenter’s classic movie. It’s superbly executed - just like one of Michael Myers’ victims. 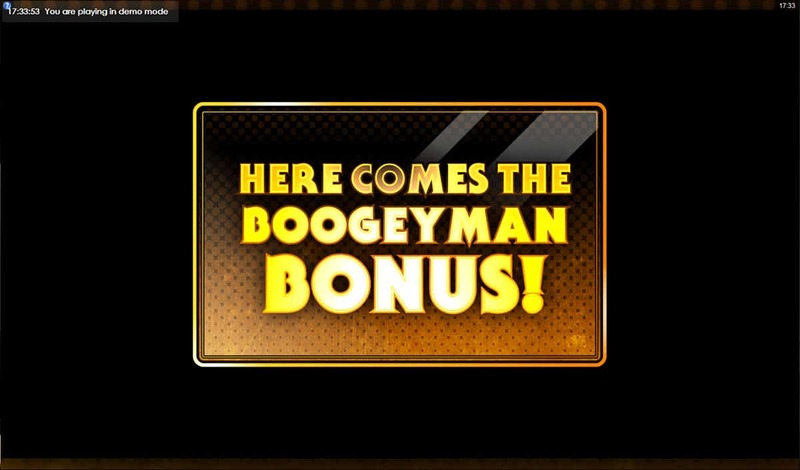 If the Boogeyman Bonus doesn’t have your blood curdling, you are made of stone. As long as your finishing balance is made of big wins, then it will all be worth while. Remember, it’s not real. Or is it?